The Nuclear Regulatory Commission has been storing radioactive waste in the sewers under the streets of New York. And since most of the homeless live rent-free in the fragrant underground, the dots connect themselves. Radioactivity has time-tested body distorting properties, so it’s an easy leap to assume the C.H.U.D. (Cannibalistic Humanoid Underground Dwellers) are in fact the grotesquely mutated creatures that have been feasting on those who are not. 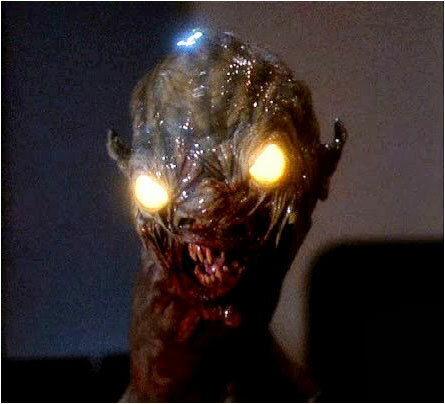 Looking like something that came out of a heavy metal song, these inside-out-faced creatures leave a wake of half-eaten humans all around the sewers. Waste not, want not. They could at least wrap up the leftovers for citizen stew or street chili. 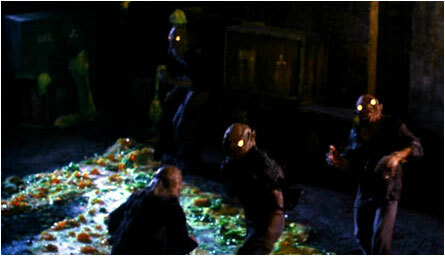 Topside, they’re planning to gas the sewers in a feeble attempt to put the thud on the C.H.U.D. They better hurry – the monsters, with glowing eyes, can-opener-strength claws, and radioactive slobber – are getting into apartment buildings and restaurants. Underpin all of this with testy New Yorkers and a government cover-up, and sit back and watch the mutated flesh hit the fan. 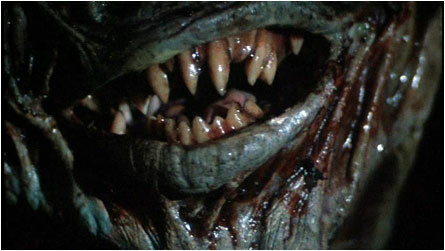 They don’t show the monsters actually ripping apart humans and dining on skin snacks, which was a big disappointment. All you see is brief flashes of the underground dwellers, which is a shame as they look kinda cool. 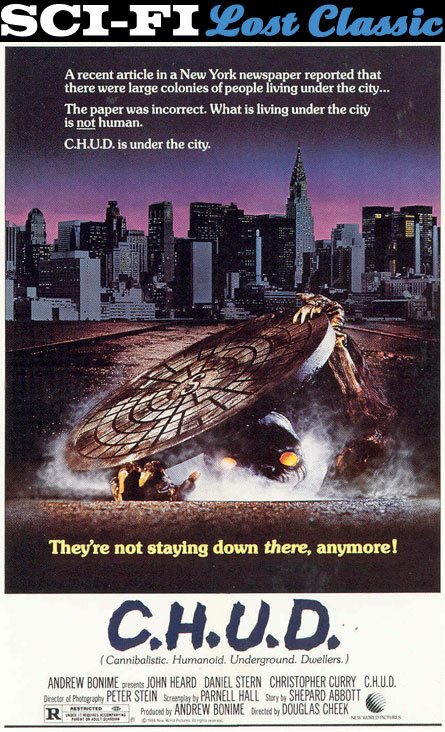 Most of C.H.U.D.’s (1984) action centers around ill-tempered New Yorkers who act as though radioactive sewer monsters were just a part of every day life. Maybe they are. A young supermodel doctor sees herself driving down a London street and it freaks her out. Especially since she would never be caught dead wearing that hideous ensemble of out-of-season colors. For whatever reason, her mirror doppelganger is committing murders onto her boyfriend and some other people no one gives a bagel about, thereby setting up the letting of blood. Not particularly suspenseful, but man, is it full of blah, blah, blah. 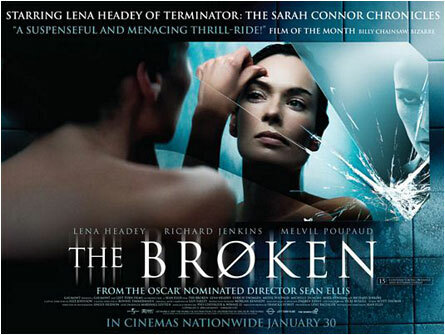 The Broken is aptly titled. 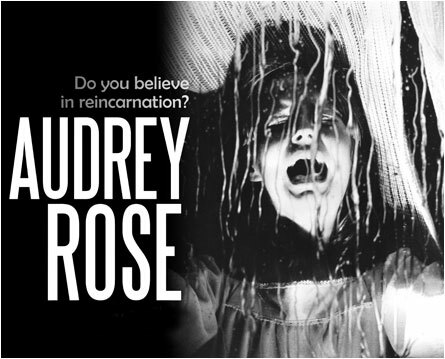 Eleven year-old Ivy Smith doesn’t know it yet, but she’s really the reincarnation of Audrey Rose, a little girl who was barbecued alive in a painful car crash/fire. Hard to go through life with two first names, let alone souls. Audrey’s grief-stricken dad goes to New York, looking for the soul of his burnt daughter. Thanks to a religious tip, he believes his daughter’s crispy essence has taken up shop in Ivy. Now all he has to do is convince Ivy’s parents to let him have her. Good luck with that. 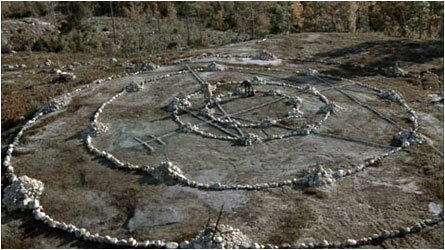 The hypno-regression scene is pretty darn hairy and rounds out this intriguing psychological horror thriller. 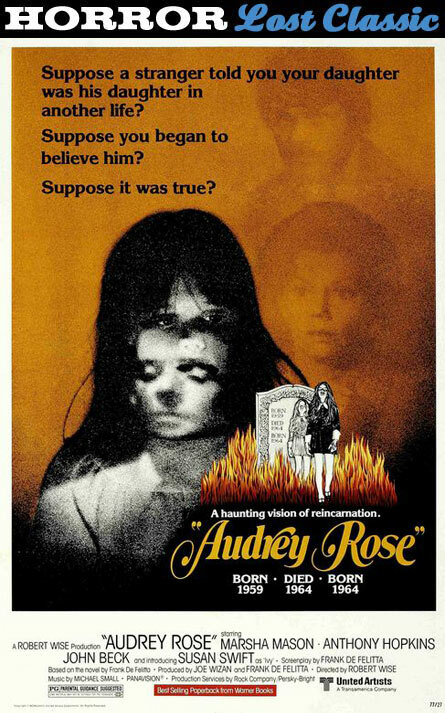 To enjoy Audrey Rose (1977) , all you need to do is sit back with a refreshing adult beverage and a grilled (sorry) hot dog and you’re set. Money may not be able to buy you happiness, but it can buy you a medical procedure to take the brain out of your withered old financially wealthy female body and transplant it into something a little more swimsuit ready. Mrs. March, the old rich woman, hires several hotties to tend to the house chores while she evaluates their muscle tone and ability to invoke wolf whistles. But the double-crossing old broad gets hers when Dr. Frank (enstein) puts her brain into that of the donor cat. B*tch, you’ve been served. 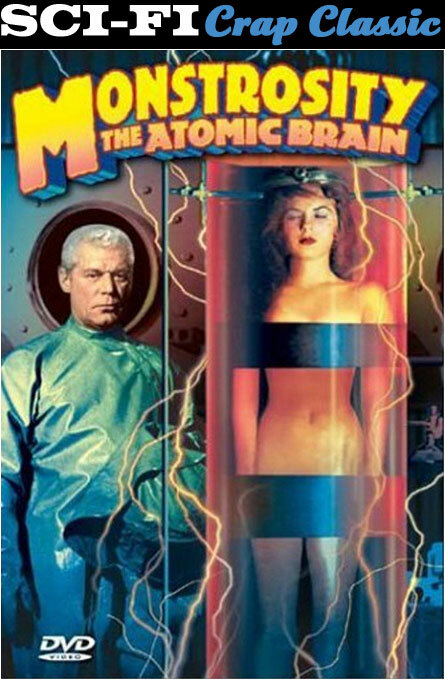 All of The Atomic Brain’s (1963) delightful gruesomeness is implied and not shown (i.e., brain pudding, blood, R-rated licking). Like what a cat leaves behind, it looked good on paper. 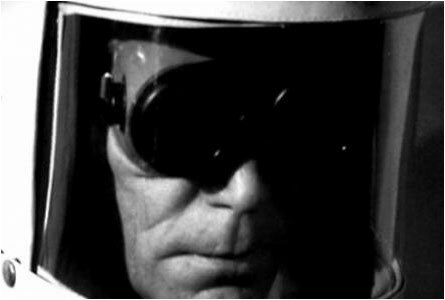 Ultimately, the subject is more shocking than this sci-fi morality play. This floater was also known as Monstrosity. That, and The Atomic Brain, pretty much describes me after last call. 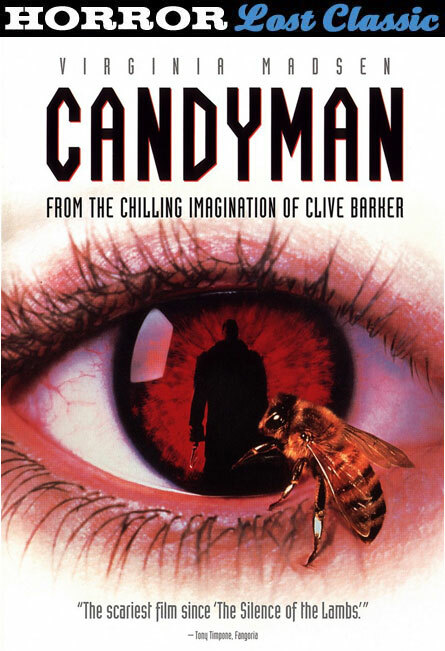 Candyman, a former murdered son of a black slave in his pre-folklore days, appears after you look in a mirror and say his name five times. (I tried that using the word “Budweiser™.” Didn’t work.) Those who successfully summon this Man of Candy, always dies an ugly death. Never heard of a pretty death, so that makes sense. Helen Lyle is a graduate student researching the legend of Candyman in the sprawling, crime-plagued Cabrini-Green area of town. She meets the real legend who tells her she must believe in him. Hey, any guy with a hook for hand and who shoots bees out of his mouth has my full attention. People become possessed. Dogs get decapitated. Necks get sliced. Blood gets on everything. Bee breath begins to stink. Candyman kidnaps a baby with the intent on not letting it get past Huggies™ and into Underoos™. Helen makes a deal with Candyman – she’ll carry on his fearful legend and make the surrounding neighborhood crap their pants whenever they hear his name, only if he doesn’t take the baby with him into that junk yard bonfire where he lives. Helen barely manages to save the kid from the extra-flame-y flames, and ends up dying due to her burnt-toast flesh. 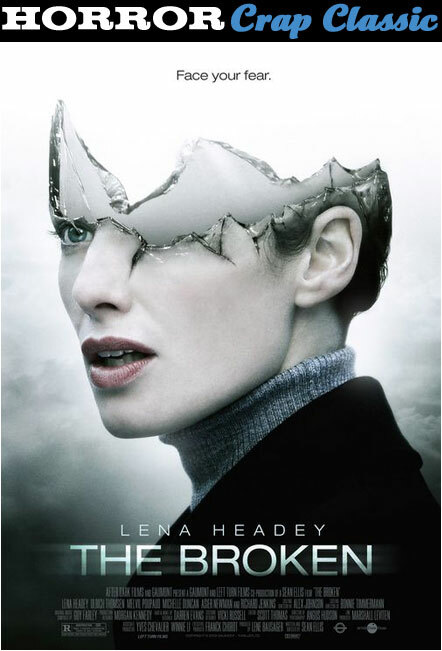 Trevor, Helen’s grief-stricken husband, looks in the mirror, all sad and upside-down smiley, and says his wife’s name five times. Do I have to spell it out for you? 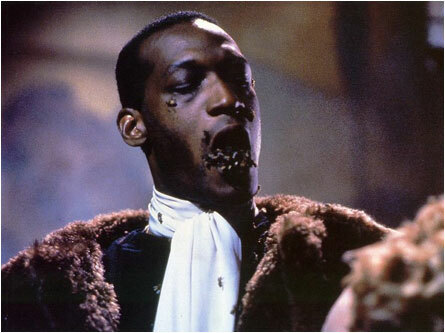 A great horror icon in Candyman (1992), what with his happenin’ fur coat, white scarf, hooked hand and mouth bees. He also has a deep voice. I bet he could get a job in radio easy. 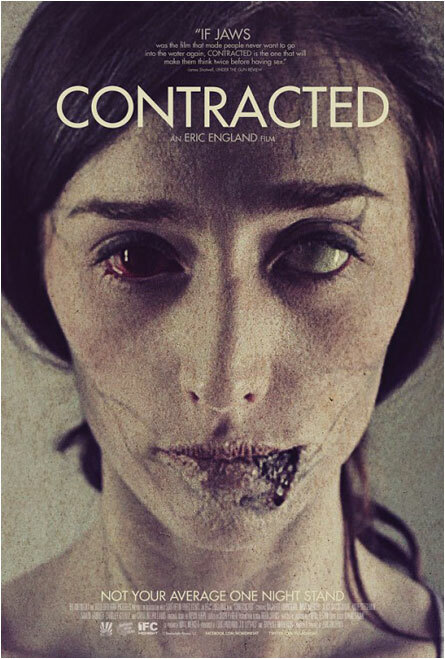 It’s not often you see a horror movie about a sexually transmitted disease gone wild. And really, who would want to see something like that on the big screen, let alone their privates and face after they scratch themselves and then rub their eyes? I’m thinking I don’t want to see it all. 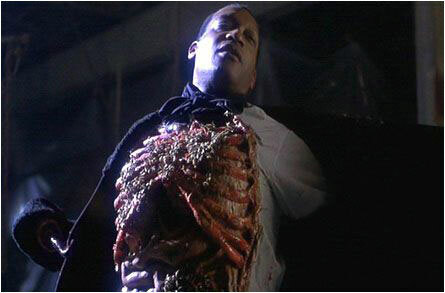 Conditions like Rump Rot or Greasy Crease isn’t on my go-to list of horror genres to watch. 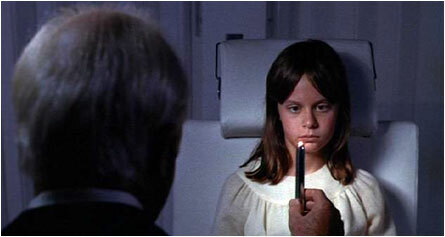 How come they just can’t make a nice, happy movie about super painful rug burns or achy tennis elbow? Now there’s some fascinating themes to explore. 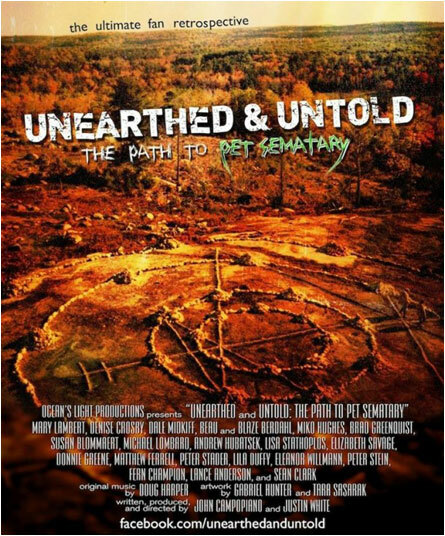 Pet Sematary (1989), an adaptation of a Stephen King book, follows in the unique trend of horror fans doing their documentaries on their favorite films, the mind-boggling Room 237 (2013), a microscopic dissertation on The Shining, blazing the trail. In addition to what I hope will be unseen footage of you-know-who being flattened by a you-know-what, there’s interviews with cast and crew members, tours of filming locations, behind the scene photos and videos, and a bunch of other stuff I’m just not up for writing about because I can’t get the sound of a Japanese expressed “aiyeeee!” out of my freakin’ head. 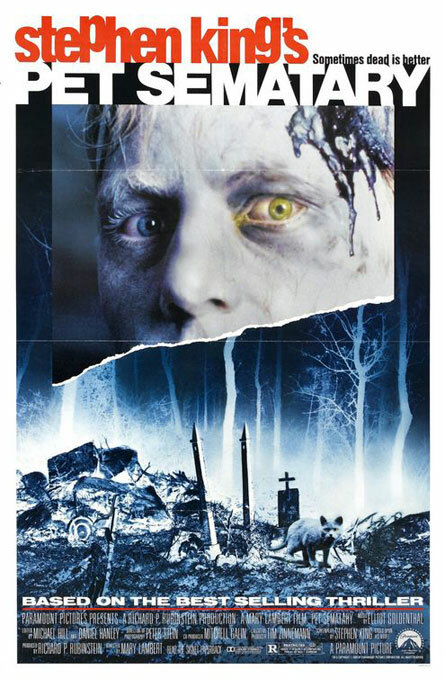 For those of you who may not have seen Pet Sematary or read the book, a little kid gets run over by a semi, his dad buries him in an ancient Indian burial ground after being warned not to, the kid comes back to life and curse word worthy Hell breaks loose.